I didn’t see so much snow since years!! I was expecting it last year, but I don’t why, it snowed everywhere but here. This time I thought it was already too late and then, the other day, it started snowing and I told to myself, “This is your last chance, enjoy these snow flakes because they will be the only snow you will see”. It is snowing since yesterday and this morning I saw a wonderful white coat outside, creating a world full of magic!! But let’s enjoy this unexpected white seesight, the trees with brand new “leaves”, white and pre, which make them part of a fairy tale world. Enjoy my Italian warm bruschetta wih mushroom and provolone cheese. Slice the mushroom and cook them with olive oil, one of the garlic clove and the chopped parsley. Turn on the grill in the oven. 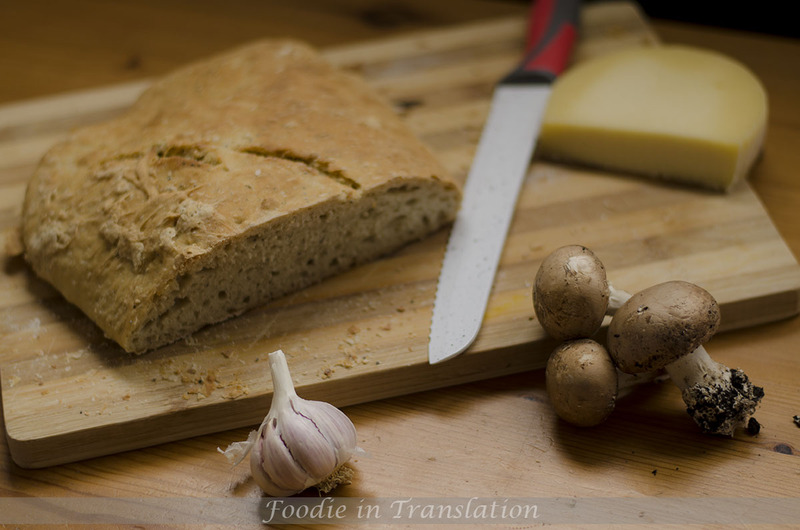 Took the slices of bread, rub them with the other garlic clove and place them in an oven tray. 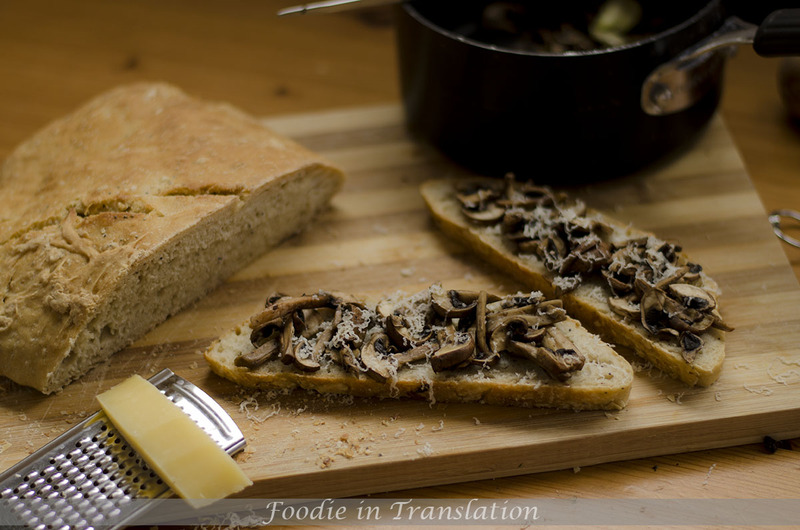 Put the cooked mushroom on the bread’s slices and sprinkle them with grated provolone cheese. Put the tray into the oven et grill for 5 minutes or until the cheese is melted. Our Italian warm bruschetta with mushroom and Provolone cheese is ready.